Yoga has always been a part of Melissa's life. While she has always been on the move, and challenging herself physically, Melissa began to practice with more intention as a teenager. From her teenage years through today, Yoga has been a powerful grounding force in Melissa's not always grounded life. She spent years as a professional dancer and choreographer, before moving on to focus on early childhood education. With a background in psychology, neuroscience, and dance, Melissa has always been interested in physical development in all ages, and how to develop a deeper connection between the body and mind. In 2012, Melissa took a leap of faith, and the East Coast native ventured to Chicago to further her study of Rudolf Laban's work in movement analysis. From there, her yoga career has pieced itself together. She took on Zen's 200 hour teacher training in the fall of 2015, and continues to challenge herself as a student every day. Melissa strives to create a practice that is well rounded in both tradition and innovation, one that is both challenging yet accessible. Yoga is for EVERY body. Come explore yours! 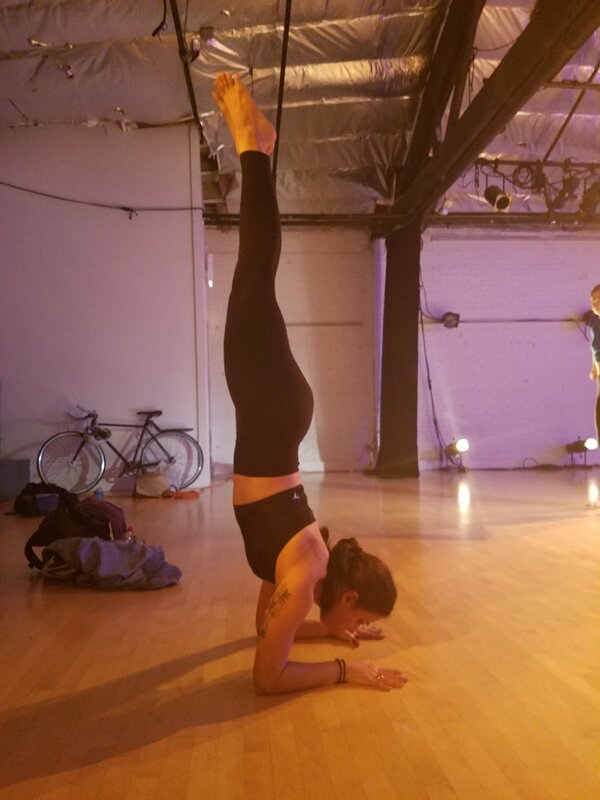 Melissa is a phenomenal instructor, her Yoga always mindful, challenging and she always teaches you tangible ways to improve your technique.